You found the new house that you are ready to call home, you made an offer that the seller accepted and now you are under contract. In Colorado, you will be scheduling your home inspection almost immediately. It is typical that your inspection deadline is about ten days after you go under contract. The inspection objection deadline is the date that you must let the seller know what items you would like to be repaired on the property. If there is extensive damage to the property, major foundation issues for example, you have until your inspection objection deadline date to walk away from the property due to its condition. Your Realtor will let you know to schedule your inspection. And since most people do not know any inspectors personally, your Realtor will most likely send you a list of inspectors that he has worked with in the past. 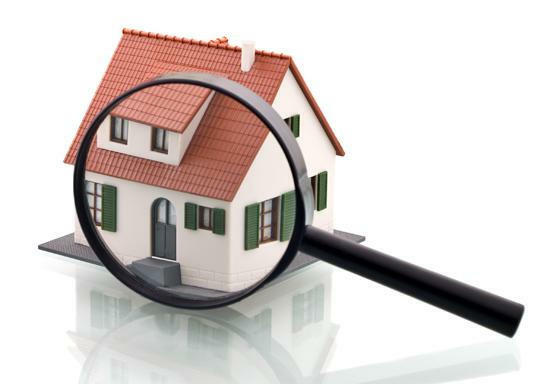 Inspectors generally charge between $300 and $400 depending on the age and size of the home you are purchasing. You will be expected to pay the inspector directly for their service when the inspection is completed. You may choose to attend the home inspection, which I recommend, but you don’t have to. Your Realtor may or may not attend. If you want your Realtor to be there, be sure to ask. The inspection will probably take about 2.5 to 3.5 hours for an average sized house. Inspectors get as detailed as possible when reviewing the home. They will make sure that all of the appliances are in working condition and make sure all the lights turn on for example. Be aware that inspectors cannot evaluate items that they cannot access. This does include the roof if it is covered by snow on the day the inspection is scheduled for example. Or say a pilot light is not lit for a gas fireplace, the inspector will not light pilot lights for the inspection. If you are purchasing a home that no one has lived in for awhile and the utilities have been shut off, make sure you have the water, electric and gas turned back on prior to your inspection. There are certain things that an inspection does not cover. Sewer scopes and radon testing are two of the items that are not included in a home inspection in Colorado. I highly suggest not skipping out on a sewer scope. A sewer scope will cost you about $120 and could save you thousands of dollars down the road. I had a client who did not order a sewer scope and within two months of living in her new house, had to replace the sewer line for $7000.00. Another client of mine had a sewer scope done on a home that had just been renovated. The sewer line was brand new. Most people would not think to scope a brand new line. What was discovered during their scope was that the line was installed incorrectly and had several low points in the line. Had they not discovered this, they would have been replacing that line themselves within no time at all. But because of their discovery, the seller had the line redone before the buyers closed on their new home. So I cannot stress enough, do not forego the sewer scope to save yourself $120.00. Radon tests are also not included in your inspection. Radon is a radioactive cancer causing gas that is commonly found in the Colorado soil at levels above the EPA’s recommended safety level. Radon tests are most important for people who have bedrooms in the basement or people who plan to spend a good amount of time in their basement. You can have your home tested for radon for about $100.00. Most inspectors will schedule both the sewer scope and the radon test for you. When you schedule your inspection, just let them know that you would also like these additional tests performed and they will schedule the tests to be performed during the inspection. It is an added convenience to you to schedule everything through your inspector since most times, you will just write one check to the inspector which covers everything. After your inspection and if you are present, your inspector will discuss with you all the issues he found with the house. Within a couple days, he will also send you your home inspection report. These reports include detailed descriptions and pictures. So, if you are unable to attend, don’t fret, you will have all the information in front of you and inspectors are happy to answer any questions you may have. Inspectors will classify issues within their report so you can understand the severity of the issue. If something does not work it will be marked inoperable. If something is a safety issue, it will be marked that way. Many items may be marked as a maintenance issue, for example the furnace may be in fine working condition, not a safety issue but it may need a good cleaning. After each issue on your home inspection report, your inspector will write a recommendation as to what he would suggest to remedy the problem. Sometimes an inspector will recommend further inspection. For example, your inspector will look at the roof and give you a general assessment. If he feels that there may be roof issues, he will recommend further evaluation by a roofing professional. Remember you are on a schedule so if you need further evaluation on any items, you will want to schedule that ASAP. After you view your report, it’s time to decide what you would like to ask the seller to repair. Your Realtor can council you on what items you should be asking to have done and possible solutions to issues that have come up. For recommendations on good inspectors in the Denver metro area, don’t hesitate to call Courtney Murphy at 720-476-0370. Courtney Murphy is a Realtor in the Denver metro area who specializes in buying and listing homes in Douglas County, including Parker, Castle Rock, Highlands Ranch, Franktown, Elizabeth, Lone Tree and Castle Pines. If you are looking for Real Estate in Parker, Colorado, call Courtney Murphy today!